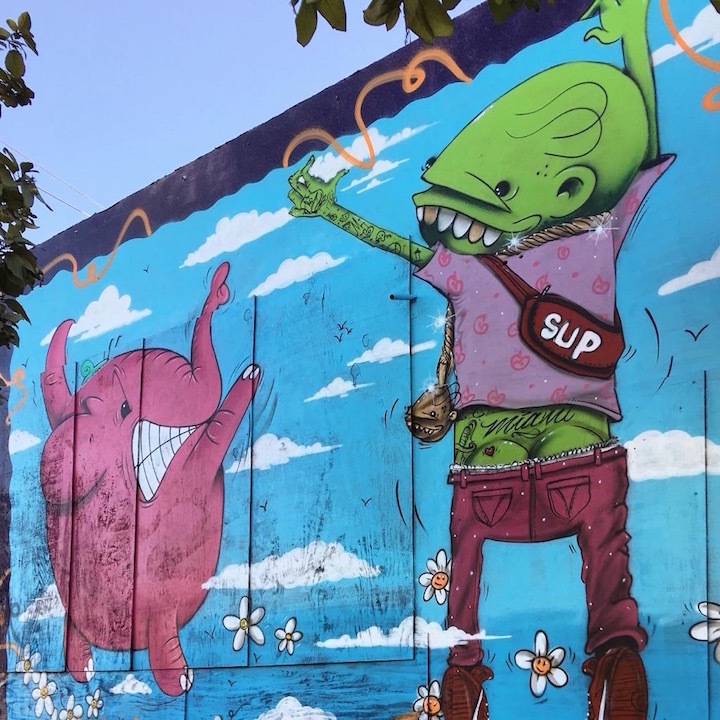 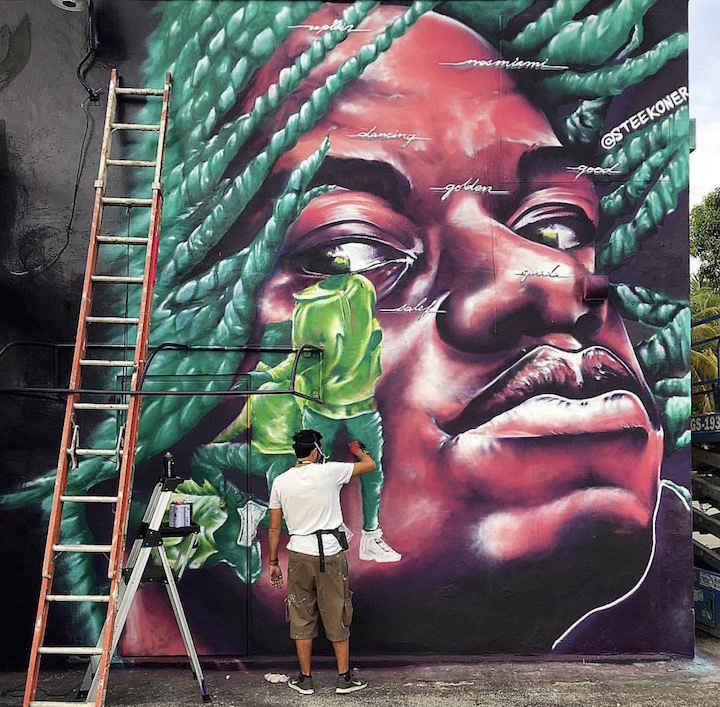 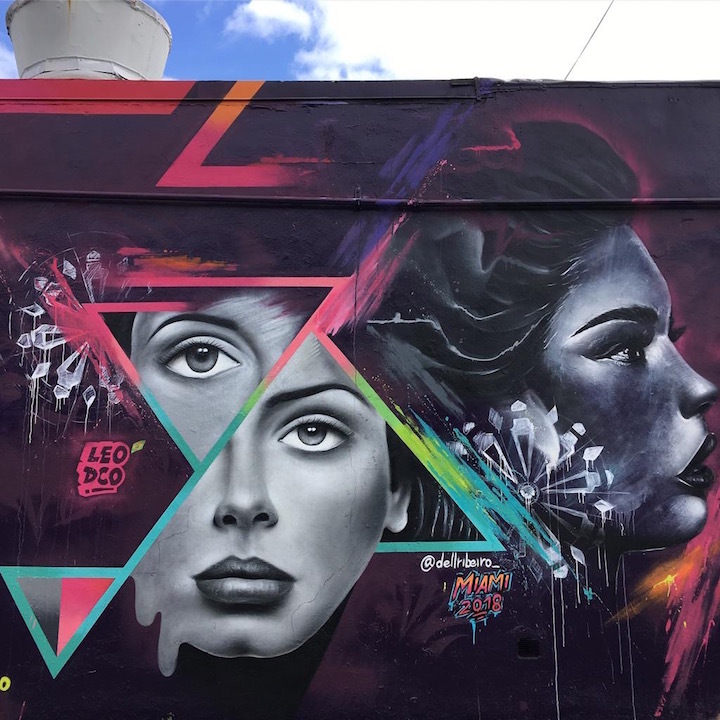 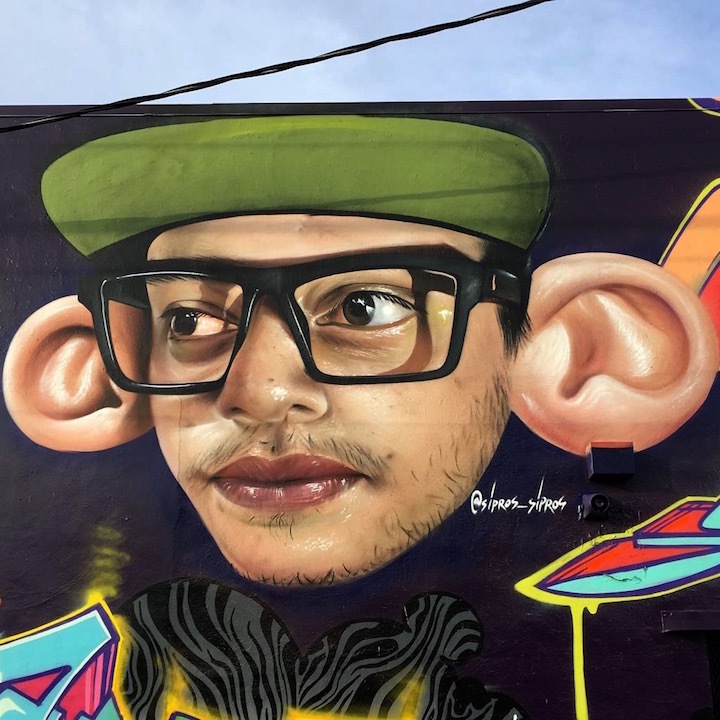 For the second consecutive year Meeting of Styles has brought dozens of gifted artists to Miami, gracing Wynwood walls with intriguing images, inventive styles and bold colors. 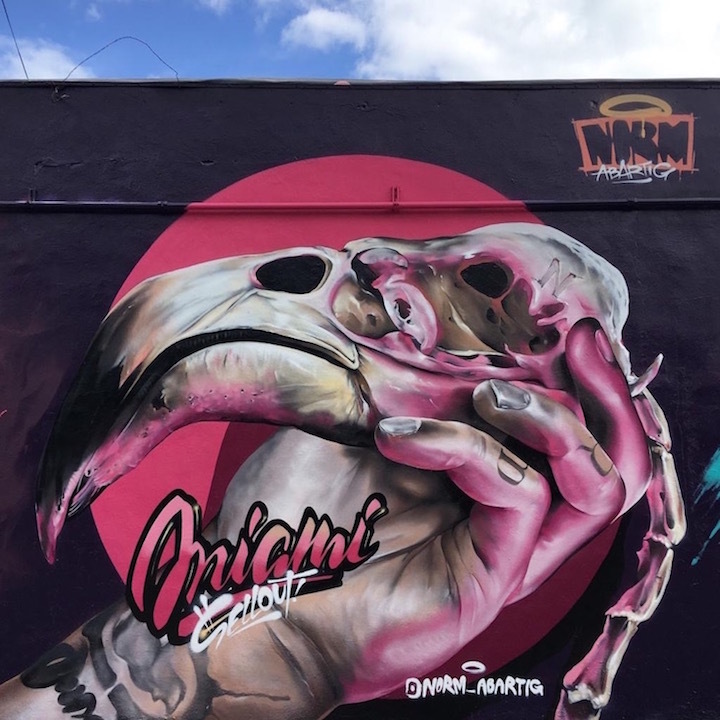 Pictured above is the work of Chilean native Fiorella Podesta aka FiO. 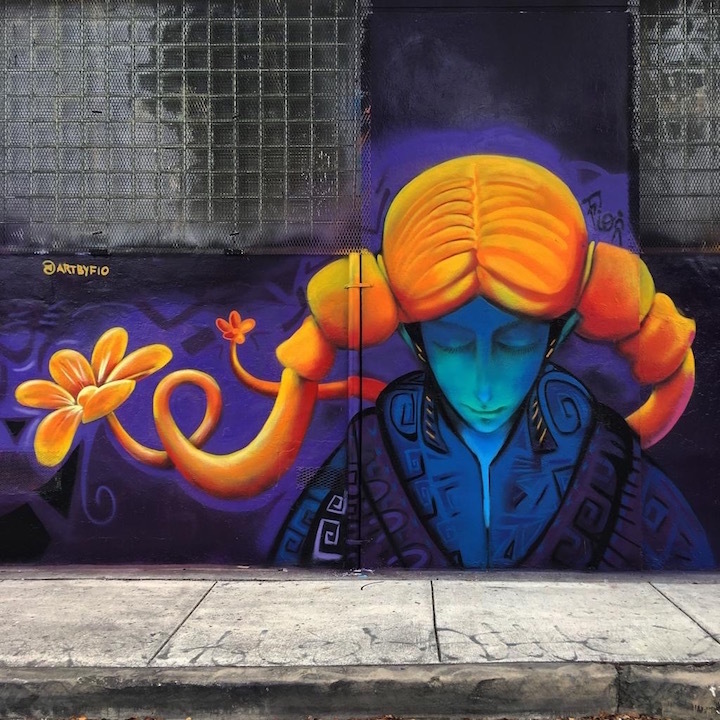 Several more images painted last month by artists from across the globe during the week of Art Basel follow. 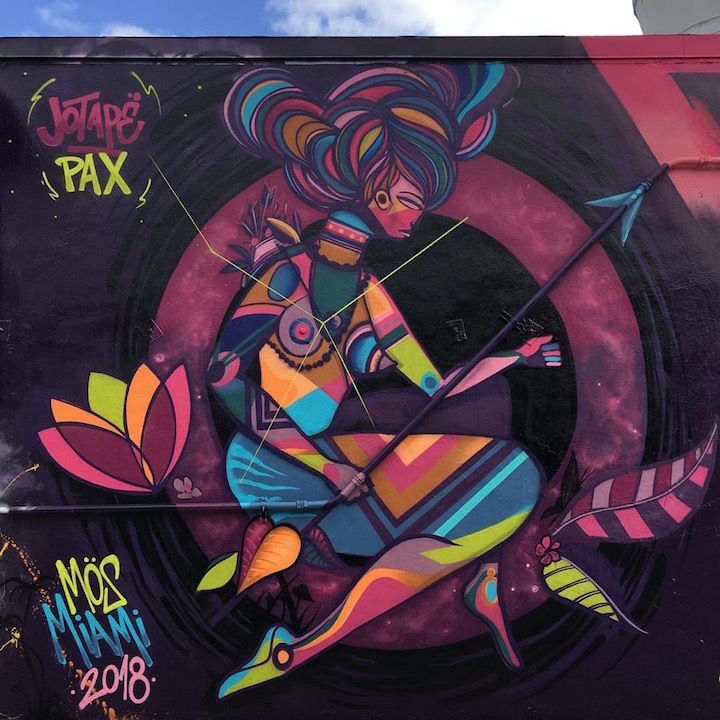 All were captured by travel and street photographer Karin du Maire aka Street Art Nomad.